Work on Huntington Park and the new plaza near City Hall is nearly complete. Avista has been partnering with the city on the project (and is footing the bill for the renovations) and, in one of the last steps before the area is unveiled May 2, buried a time capsule there Monday. News to you? Us too. And apparently to the Spokane City Council as well. In an awkward exchange at a committee meeting Monday, councilmembers heard about the time capsule for the first time, after it was already buried. That’s because this time capsule, unlike some others in Spokane’s past (more on that later), wasn’t the work of city officials but of the contractor who’s been working on the renovations in that area, according to City Spokesman Brian Coddington. There was no public process in selecting what went in the time capsule and no city officials were invited to the burying. That’s partially because it was done in a quick, “very informal” process, Coddington says, and partially to keep the secret of where it’s buried to avoid vandalism. Still, Spokane is no stranger to burying stuff in the ground for the future. The city took suggestions back in 2005 for a time capsule to be buried near the Monroe Street Bridge. In 2006, city workers opened a time capsule placed behind a wall in the Chase Gallery in 1981 and found items like a phone book and a Washington State University football program. The city then replaced those things with children’s art, a mechanical parking meter head and other items and reburied it for another 25 years. *As you can see in the photo, it was last week’s Green Issue, which also included stories about marijuana policy, Gail Gerlach’s acquittal and some nostalgia over hand-painted signs and vinyl records. Enjoy it, the future! **According to city staff, this was the same or similar to his 2014 State of the City address, which you can read here. 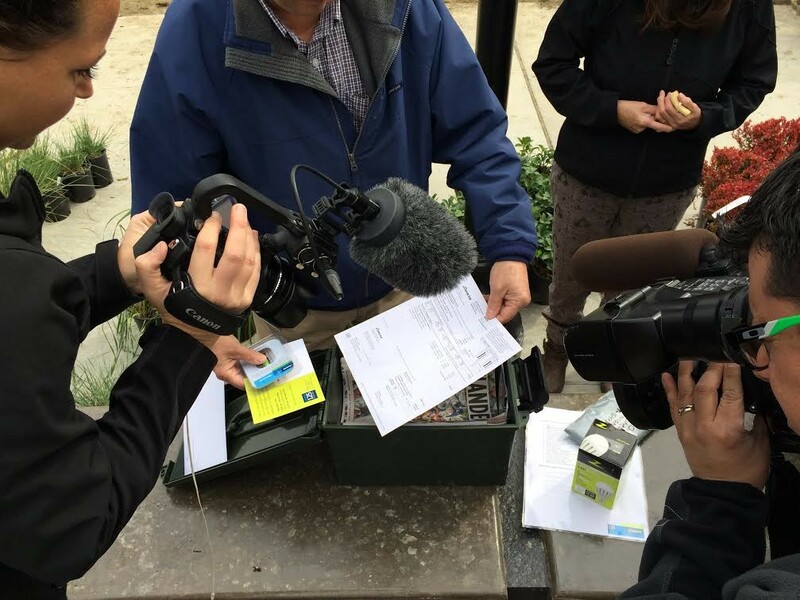 If it was up to you, what would you put in a time capsule for future Spokanites?